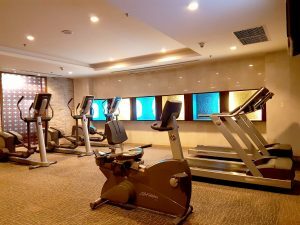 Modern cardio and weight training equipment awaits you in our fitness centre. Find motivation for an important meeting, maintain your hard-earned beach body or recover after a late night out. Of course, Phuket is also famous for its outdoor activities. Contact our concierge for recommendations about nearby watersports, hiking and jogging opportunities. From waterfall walks to scuba diving lessons, there are many different ways to experience Patong’s natural beauty.